On the Wikipedia page of HMS Dreadnought it is mentioned that during firing trials against HMS Hero there were some vulnerabilities of its fire control systems revealed: namely, wiring and voice tubes were cut by splinters, and key positions hit. Firing trials against HMS Hero in 1907 revealed this system's [ie fire control] vulnerability to gunfire, as its spotting top was hit twice and a large splinter severed the voice pipe and all wiring running along the mast. This strikes me as very odd. Were RN ships supposed to actually fire at each other during trials? Were they using some sort of practice shells? (Even without explosive load, these would do serious damage) Or had they some other method of simulating hits? No, firing trials of pre-WW1 British Dreadnoughts didn't actually involve firing at them. Note that these trials were intended to investigate the effects of British guns on their targets. The trials actually began before HMS Dreadnought was launched in 1906, and continued right up until the start of the First World War. It is worth noting that the Dreadnoughts would be the ships firing at the target vessels. They would not be targets themselves. 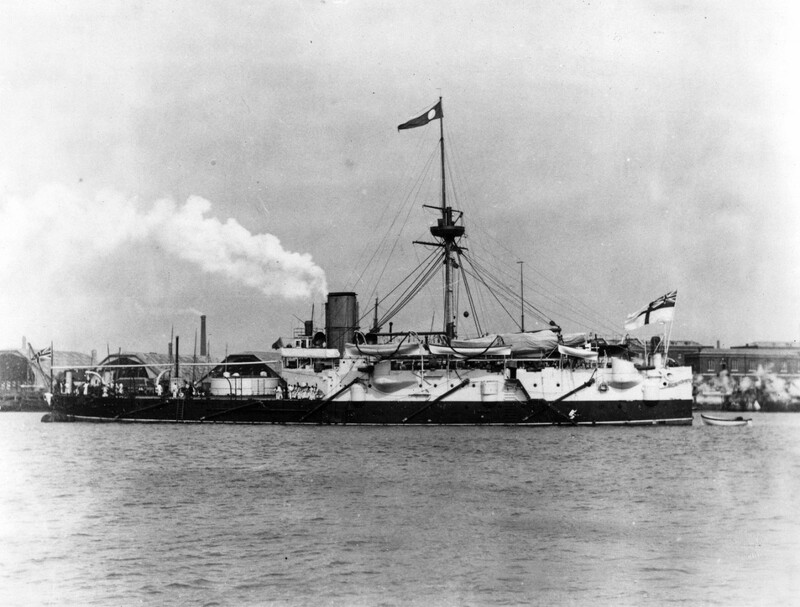 HMS Hero was a Conqueror-class ironclad battleship, and had been launched in 1885. She was considered to be outdated when the decision was made to use her as a live-firing target in 1907/1908. She was sunk on 18 February 1908, and her wreck site lies off the Thames estuary. The results of the trials are in the Navy's 1915 Manual of Gunnery, but I haven't yet found a copy of that online. Although the Hero trials were intended mainly to test fire control, she was attacked with live shells, so the results were of interest from a fire effect point of view. The shells were common and Lyddite, rather than AP [armour piercing], delivered by ships steaming at 15kts and opening fire at 8000 yds (note the much greater range [compared with the earlier trial using HMS Belleisle as target]) using 12in (Common) and 9.2in and 6in (Common and Lyddite). Because the target settled on the bottom, it was impossible to examine the effect of fire except above the lower deck. Damage was so extensive that it was nearly impossible to distinguish the effect of any particular hit. Only the main armament and conning tower survived unscathed. It was clear that a 12in shell striking the ship about 3ft below water had made a large dent and had started a plate. A 9.2in Lyddite shell entering above the main deck wrecked the upper deck and blew it upward, but most of the damage was below the main deck and below water. Some coal (usually imagined as protection against shell fire) caught fire. It was the only serious fire. In amongst this damage, HMS Hero's spotting top was hit, which wiped out communications from there to the rest of the ship. Since the control positions for the main armament on HMS Dreadnought were located on the spotting top, the implications of that damage were obvious, so - as noted in the Wikipedia article - the system on Dreadnought was upgraded. The results of the trials were reported in the 1915 Manual of Gunnery for His Majesty's Fleet, (Volume I). If you cannot find a copy online, the UK National Archives at Kew *Ref: ADM 186/171), and the Admiralty Library at Portsmouth (ref: AL Ja 254), certainly have copies. Not the answer you're looking for? Browse other questions tagged military naval great-britain or ask your own question. How did the British Navy pass orders to its fleet before radio?